Windows 10 has proved itself to be a very good desktop OS and we can say that Microsoft has actually made their wrongs right with Windows 10. A lot of things were out of place on Windows 8 and some of them were fixed on Windows 8.1 but the system was still not up to the mark. With the release of Windows 10, Microsoft decided it was important to make sure all their users were happy with what they develop. 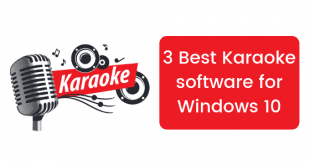 Windows 10 is a very versatile operating system but we all work with many different programs that run over Windows which make the whole harmony of a system a bit down. But this is where the other tools to make sure you have a good Windows 10 user experience exist. In this post, I will list down some of the best tools which you can use to optimize Windows 10 for better performance. 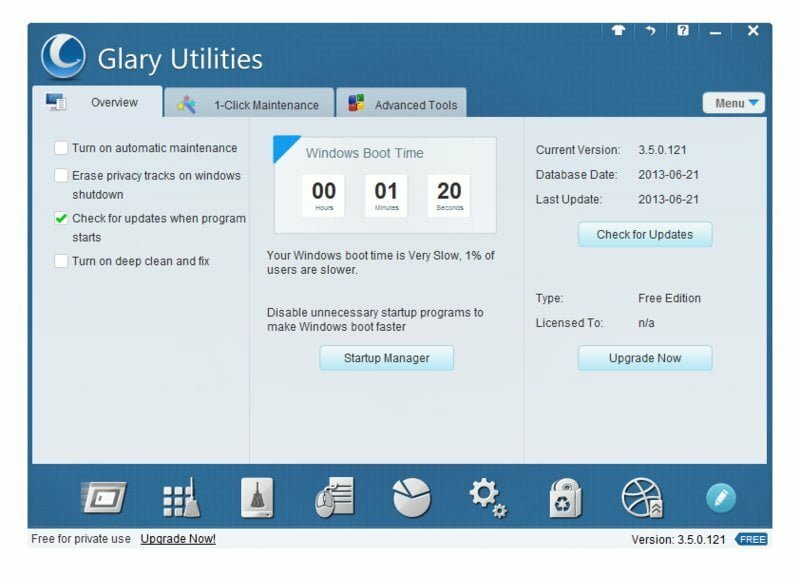 The Glary Utilities basically offers a very easy-to-use and powerful system tools to mainly maintain, speed up and protect our PC. 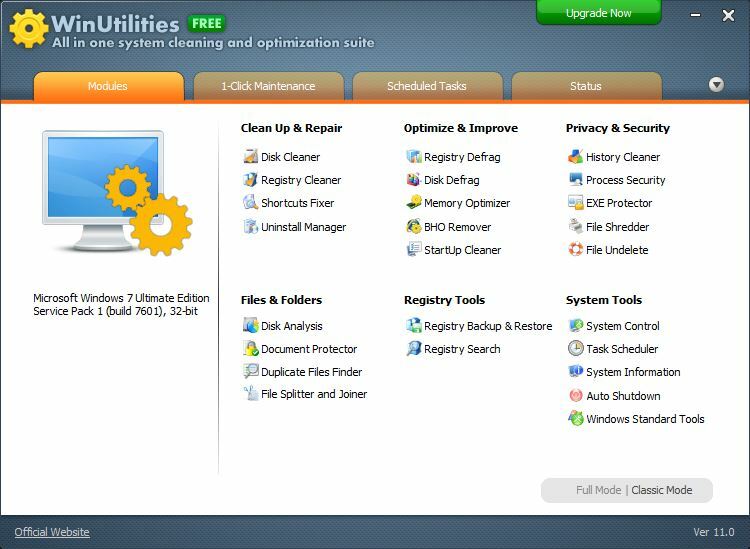 Registry Cleaner – It also scans and cleans up the registry to improve the system’s performance. Shortcuts Fixer – It also corrects the errors in the start menu and also in the desktop shortcuts as well. Uninstall Manager – It also uninstalls programs completely that one doesn’t needs any more. Startup Manager – It manages programs which run automatically on the startup. Memory Optimizer – It also monitors and optimizes free memory in the background. This is basically a collection of tools lets one supercharge the PC’s performance, along with it also enhances its security and optimizes its settings, and customize and personalize one’s screens. The Wise Care 365 is a bundle of important and convenient tools including a registry cleaner, disk cleaner, memory optimizer program uninstaller, and more to count. It is easy to use and is also very much effective. Thus Wise Care 365 is a good solution to help improve one’s PC’s performance. The Soft4Boost PC Win Booster Free always allows one to easily clean scan, and fix the PC by removing obsolete, unused or harmful items. They are very easy-to-use interface and thus are user-friendly and lends itself to making the process of finding the duplicate pictures, or documents, or any other type of files very easy. One will be able to quickly compare the files not only by their names but also by their actual content which can actually help significantly to increase free space on one’s disk. 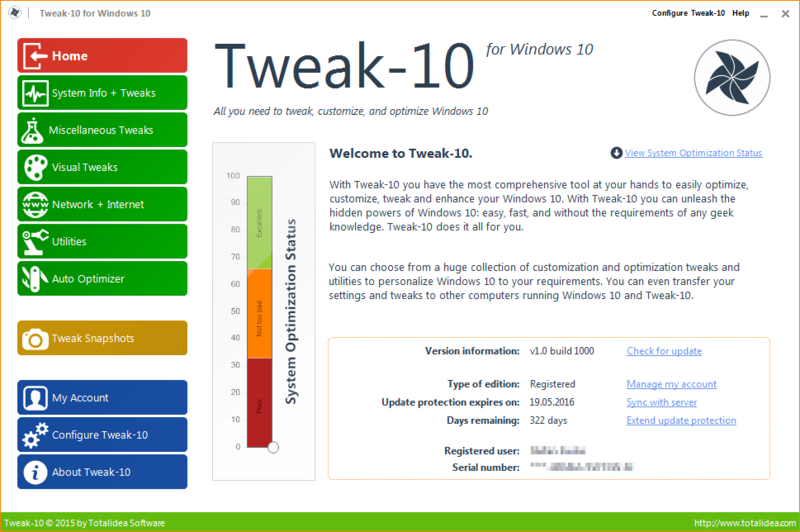 The Tweak-10 is an extremely user-friendly way to basically tweak, optimize, as well as customize and fully enhance one’s Official Windows 10 experience. The Tweak-10 seems to be very easy on the eyes user interface that lists every optimization category and tweak on the main navigation panel. Thus, this left side panel makes it simple to complete whichever task one opts to run. 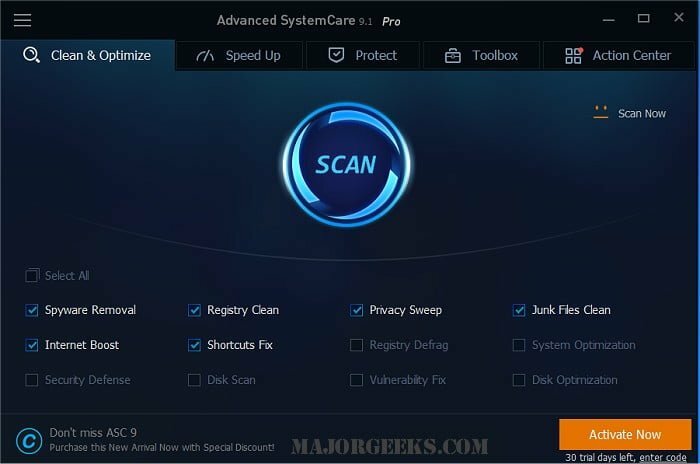 The Advanced SystemCare 9 is easy-to-use yet comprehensive and convenient PC optimization utility. 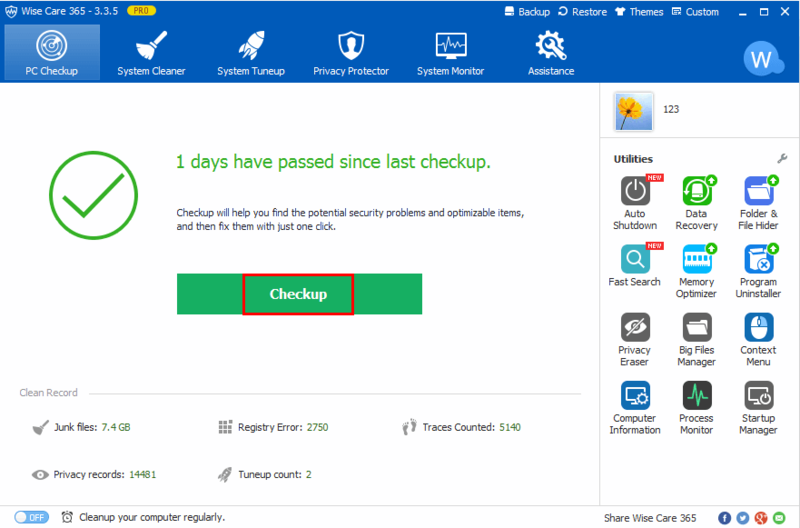 It usually approach to help clean, speed up as well as protect your computer in one click. Thus with the Speedup module, it basically aims to boost ones system and browsers for the top performance, and shorten the system boot time, and protect the system against spyware, adware and other malware altogether. It disables ‘Run as Administrator’ Vulnerability in lower user accounts. It generally converts the “Administrator” account for everyday use. It also automatically detects current Username. It also turns the system’s User Account Control on highest settings. It also patches the embedded Windows Firewall with Security fix. The Windows 10 Pro is fully compatible. It sets the Firewall to block both the inbound and outbound connections. 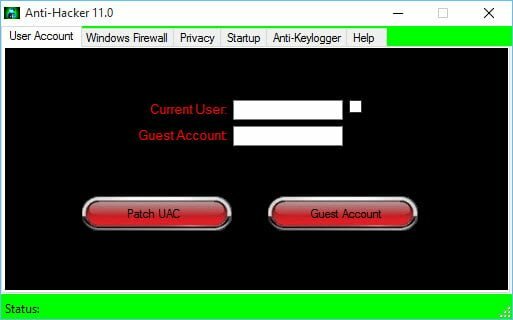 It also enables the Windows Firewall outbound connections logging which is only disabled by default. It also cleans the computer system and maintains the privacy. It also acts as a Startup Scanner. So, this was a list of some of the best Windows 10 tools that can optimize your system performance to provide you an overall stable and performing PC. Which one are you going to use or which one do you use currently? Let us know in the comments below.